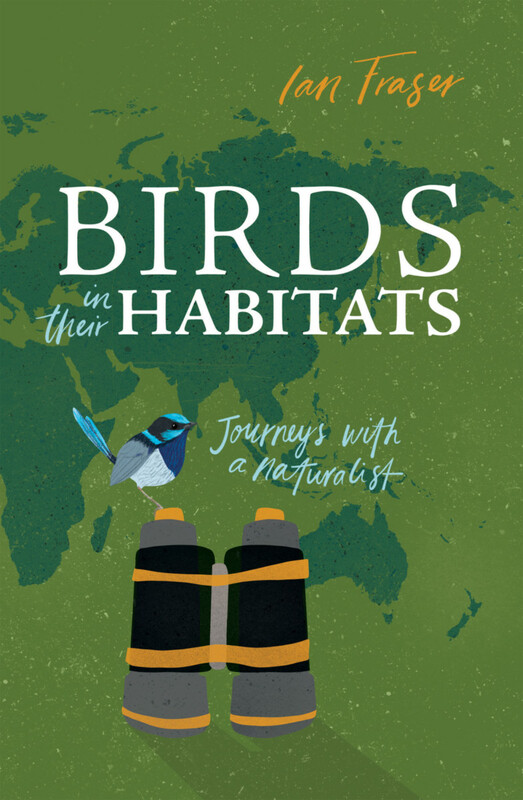 Birds in Their Habitats is a collection of stories and experiences which introduce fascinating aspects of bird life, ecology and behavior. Informed by a wealth of historical and contemporary research, Ian Fraser takes the reader on a journey through four continents: from places as unfamiliar as the Chonos Archipelago of southern Chile and the arid Sahel woodlands of northern Cameroon to those as familiar as a suburban backyard. This is a book of discovery of birds and the places they live. And with humor and personal insight, it is a book about the sometimes strange world of the people who spend a life absorbed in birds. Ian Fraser is a naturalist, conservationist, author, regular contributor and commentator on ABC Radio (local and national), natural history tour guide and adult educator who has lived and worked in Canberra since 1980. He was awarded the Australian Natural History Medallion in 2006, for services to conservation and education. He is the author of A Bush Capital Year (2011), with artist Peter Marsack, and Australian Bird Names: A Complete Guide (2013), with Jeannie Gray – both were awarded Whitley Certificates.